Thrill seekers and solitude hunters, for once, can be in harmony at Hatu Valley Homestay — a homestay in Narkanda, Simla. On a clear night, count stars and get a kick out of the cold breeze at this stay. 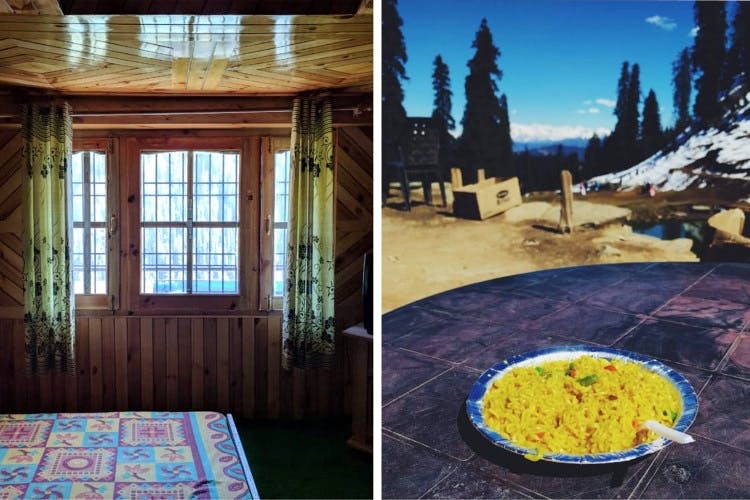 If wooden rooms with rustic ambience, healthy homemade food (We're talking about the hot paranthas, dal, and chili chutney), and a distant view of nothing but hills sound just about right, this homestay is for you. The spacious rooms come with large beds, a small TV, and comforters. There is a seating area outside the rooms where you can enjoy your cuppa. The location of the homestay is towards the end of the hill and for miles away, you'll find only hills and trees, making the view absolutely surreal and tearjerking. The food is served inside the home and we were told that they are opening a set of cottages and a cafe on a hill nearby. While there isn't much to explore in the vicinity, you can trek up to Hatu Peak and check out the 360-degree view of the Himalayas. Plus, the stay costs INR 1,200-1,800 per night (Depending on your choice of room). The location is a little secluded. Although nothing can be done about it, it takes you around 30-40 minutes to reach the closest market or town centre.